Trinity Place NCP car park. 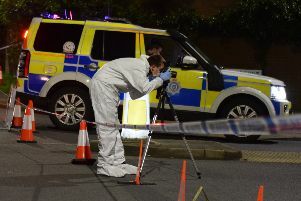 A man who was found dead at the NCP car park took his own life just days after being discharged from hospital. Stuart John Spray, 67, of Burlington Place, was found dead on December 5 last year after jumping from the top of the building. He had recently been treated at the DGH psychiatry ward after a suicide attempt, and was discharged just three days before his death. An inquest at Eastbourne Magistrates’ Court on Wednesday December 17, heard Mr Spray had a history of depression and suicide attempts. She said he had taken an overdose on July 20, 2013, and was taken to hospital. He was transferred to the psychiatry ward, and discharged on August 6. He had a stint in The Priory in Roehampton, in mid-November, and was discharged on November 18. Another suicide attempt was made on November 26, and he was again taken to the DGH psychiatry ward. He was discharged on December 2, and had visits from the mental health team on December 3 and 4. He was due to have his third visit on December 5, the day he was found dead. On the morning of December 5, he walked his wife to work, and visited the GP for a prescription. Then some time between his appointment, and 12.30pm, he went to the NCP car park at Trinity Trees and took his own life. Coroner Alan Craze asked Dr Greg Baginski, the consultant psychiatrist who discharged him on his last stint in hospital, if Mr Spray should have been sent home. He said Mr Spray did not want to stay in hospital and it would have been very difficult to section him. Mrs Spray criticised the move, saying she should have been involved in his discharge, and that she may have been able to persuade her husband to stay in hospital.